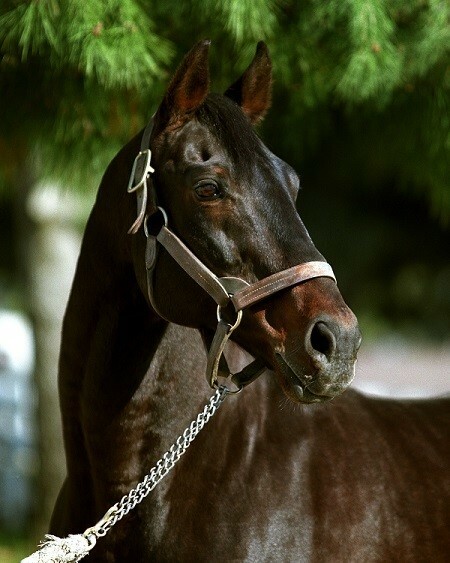 Beautiful portrait of Turkoman taken years ago while he was still at stud. Photographed by thrice-winner of the Eclipse award for Photography Barbara D. Livingston, this piece has been printed on canvas in an image just about 8"x10". Very suitable for framing, Barbara hand-signed each image in gold ink.